Bird points and ice-age basketball. You get the paper from the bottom of your driveway on this winter morning. 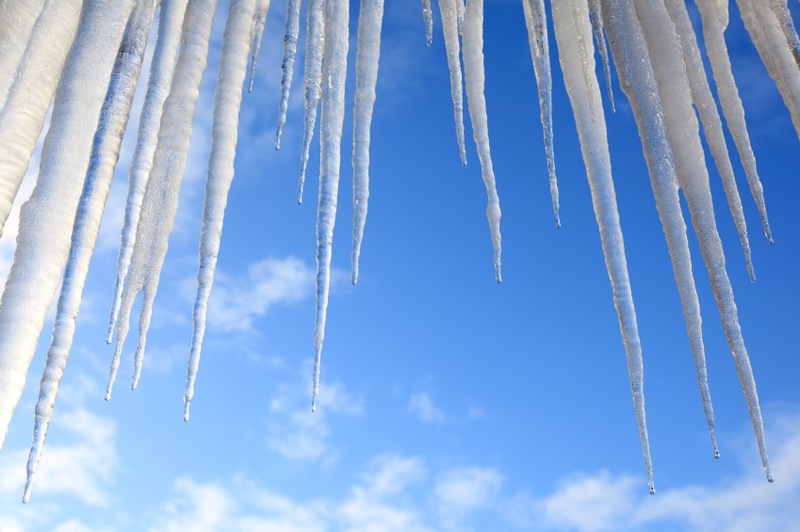 Heading back, you notice that heavy icicles hang from your roof. They look like downward-pointing swords high above the doorstep. Inside, from a kitchen window you notice the backyard bird feeders. They’re busy, and you stop to watch. An idea hits. You assign points to the birds you see. 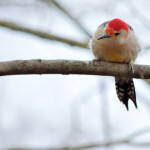 Red-bellied Woodpeckers and Blue Jays: four points. Cardinals and White-breasted Nuthatches, three. Downy Woodpeckers and Song Sparrows, two. Slate-colored Juncos, one. You get bonus points for a deer that joins the seed-eating, its breath steaming. It occurs to you that the word ‘point’ is used in a lot of games. Why? Did ancient athletes poke opponents with sword points, and each point counted? Maybe the word ‘point’ then evolved to measure scoring in other kinds of contests. Something to wonder about. 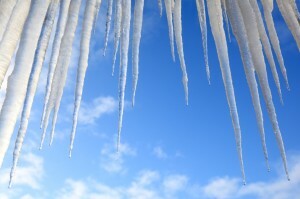 But the thought of swords and points reminds you of those icicles. You leave the house and go out front. You bring your basketball from the cold garage. It’s rock hard. You shoot the ball toward the roof. A high, arching jump shot. Bam, it smashes the longest icicle, knocking it down. Heavy ice splatters the steps. There are more icicles. You assign points to them. A three. A two. You shoot. You score. This is fun. You’ve got ice points in the front. Bird points in the back. Let’s hear it for winter sports. This entry was posted on Monday, February 10th, 2014 at 12:24 am	and is filed under "Viewpoints". You can follow any responses to this entry through the RSS 2.0 feed. You can skip to the end and leave a response. Pinging is currently not allowed. Got 1 point outside my window right now, and two deer yesterday walked almost up to a different window until the dog startled them…but they didn’t eat the seed. Hmmm. Would that be a fowl? In finance a point means one percent of a designated amount. Could that mean that the guy who pays it was stuck by a metaphoric sword? Sipping from my new and glorious ‘Two-fisted’ mug, I ponder the obvious lack of four-point feathered friends (and, over abundance of said-point icicles) outdoors. 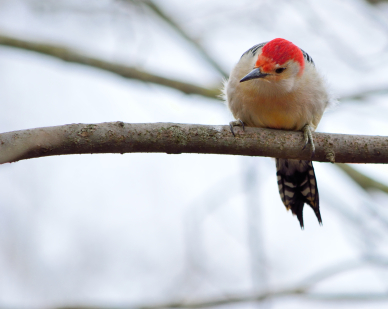 I surmise they are smarter (especially, this year), and headed to warmer climates, as the ‘bird-brained’ feeder fillers hope to catch a colorful glimpse of them, in anticipation of a season that feels too far away. But, man, oh man, does my coffee taste good in that mug. And the smile on my face from reading this is definetly a five pointer!